Making beautiful spaces accessible to everyone! Today, I’ve rounded up a whole bunch of DIY projects that are perfect for a small balcony. 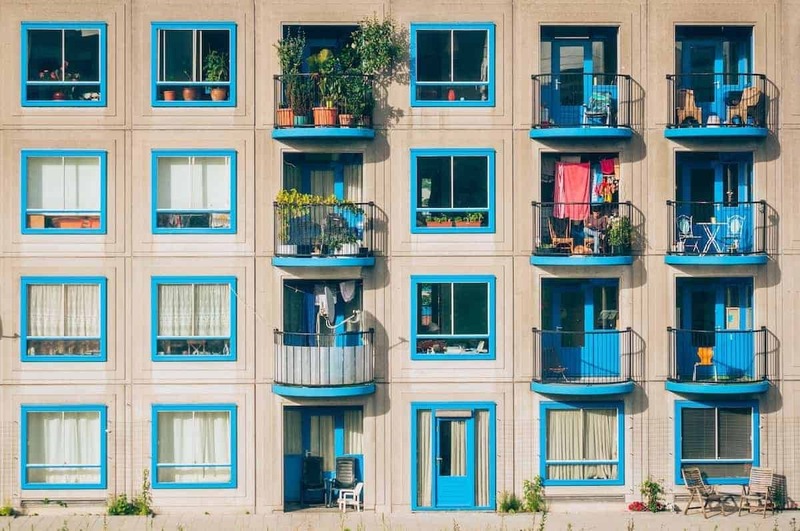 Small balconies can be very tricky – they’re just so, well, small. But with a little ingenuity, and these small balcony ideas, you can turn your balcony into a place you love to spend time. Before running out and buying a whole bunch of balcony decor, take a minute and figure out what kind of space you want your balcony to be. What will you be doing out there? Enjoying a cup of coffee in the morning or drinks in the evening? Reading a book, growing flowers and vegetables, or practicing yoga? By deciding how you’re going to use the balcony, you can then determine what you need. If you’ll be doing yoga, and your balcony faces the street, you might want to create some privacy with screening. Or, do you need some shade because your balcony faces west and it feels like an oven in the afternoon? Or, do you need to consider a vertical garden because you want a lot of plants and just don’t have any floor space? Finally, you’re ready to start adding in decor. What style do you want your balcony to have? Boho, Eclectic, Minimalist, or Farmhouse? By keeping these three things in mind – use, needs, and style – you can create a balcony that is perfect for you, no matter what size. Let’s start with the balcony floor. If your balcony is less than ideal, either looks ugly or just not what you’re going for, you can easily upgrade it. 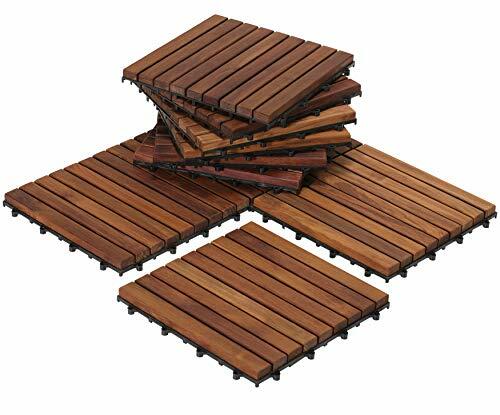 There are several different brands of decking tiles. 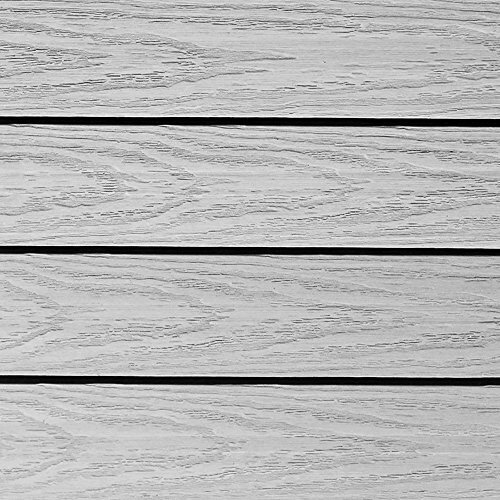 You can get these Bare Decor decking tiles on Amazon. These light colored wood decking tiles are pretty cool too. Check out my post Easy Upgrade Ideas for Your Balcony Flooring for more details and sources for this easy DIY project. In order to create privacy on your balcony, you’ll need to do a bit of homework first. First, think about where you need privacy. Is your neighbor’s balcony so close that you can grab a hot dog off their grill? 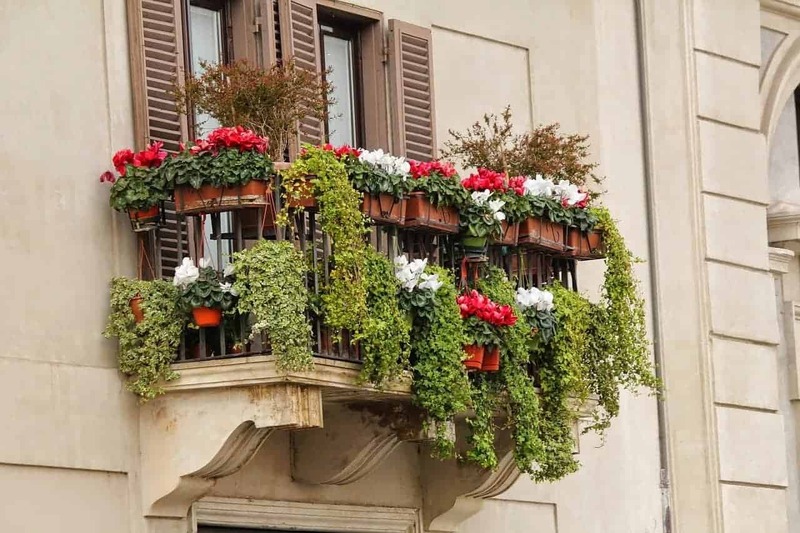 Does your balcony face a busy street and you feel like you’re on display? Next, think about how much screening you need? Do you need something that is full height or can you just screen the railing? The next step would be to find out if you are allowed to put up any kind of permanent screening. Finally, consider your budget and how long you plan to be there. Finally, if you want to be super crafty, grab a macrame book, do some old school 70’s knotting, and make a cool boho curtain. 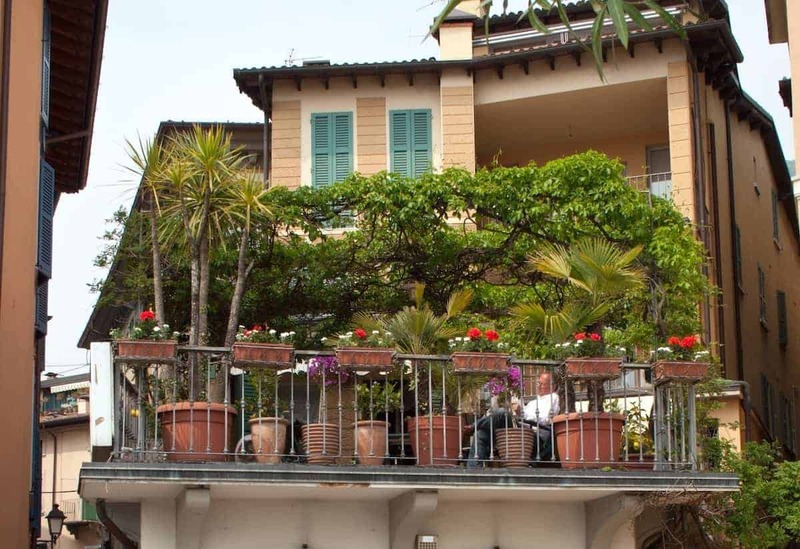 To make your balcony truly an oasis, you’ll need lots of plants. But, there’s not always enough room on a small balcony. By thinking vertically, you can squeeze in a lot more plants and decoration. These DIY projects will give you a ton of growing space without taking up a whole lot of floor space. Many of these projects can pull double duty by providing screening as well as a place to grow plants. Speaking of plants, BalconyGardenweb.com has a great list of plants that do well on balconies. If your balcony is in a high-rise building, be sure to pick wind tolerant plants. So, that wraps up my roundup. Did you find any projects to try? 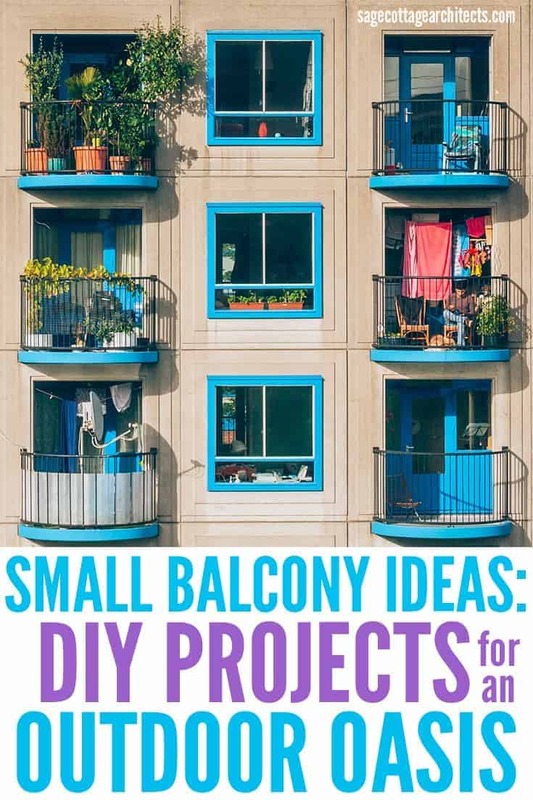 I’d love to hear if you have tried any of these DIY small balcony ideas. Lori is a licensed architect, and has specialized in residential, commercial and industrial building projects. She lives out in the sticks of Central Illinois with her brilliant husband, three wonderful teens, and two cats of questionable intelligence. We are Lori and Kim, licensed architects who took a few years off from our professional careers to raise our families. Sage Cottage Architects explores our passion for residential architecture and environmentally friendly design. We aim to make beautiful spaces accessible to everyone. Subscribe to our newsletter for exclusive home decor, planning and design content.